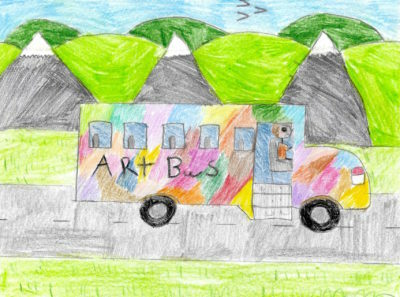 The Arts Bus is a mobile art studio, pop-up theater, music space, craft shop, bakery, library, and safe place to imagine. 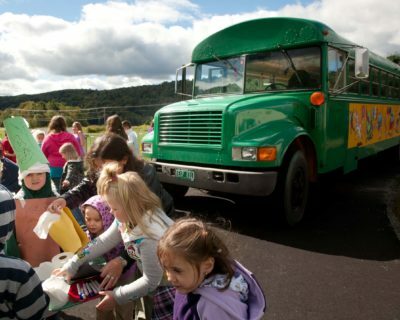 The green bus has become a familiar and welcome sight along the country roads and the villages of central Vermont, bringing free art activities to children and youth. The bus travels to preschools and family home child cares, elementary schools, after-school and summer recreation programs, public libraries and pools, community events and celebrations, and appears as often as it can roll into fun with art.